“Whole person” approaches to health and well-being are no longer “new age fads,” but clinically proven techniques to a longer and healthier life. HEALTHY TIPS showcases these modalities like never before. In a similar vain to CNN’s “United Shades of America with W. Kamau Bell” this series will break through the barriers of normal documentary-style production. HEALTHY TIPS provides a real world, entertaining, engaging and in-depth examination into various natural therapies, that inspires and educates viewers of all generations. 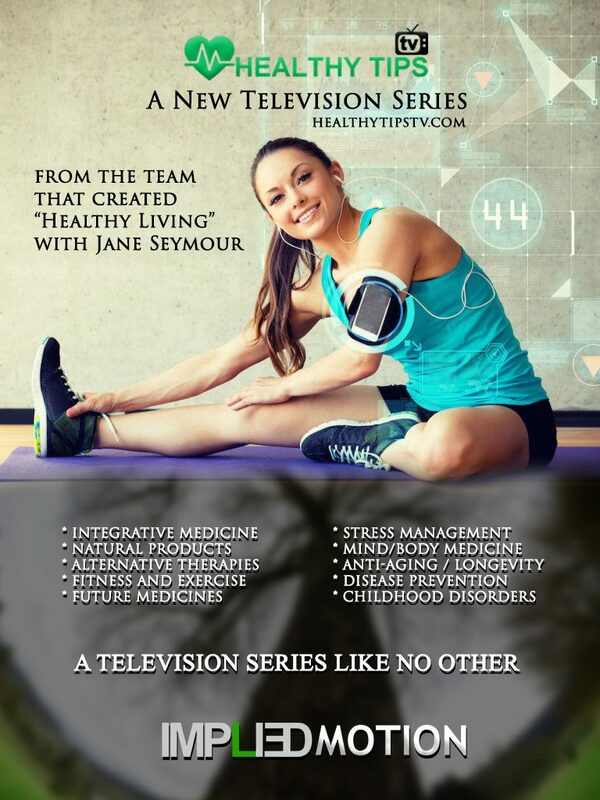 HEALTHY TIPS is produced by the same creators who produced “Healthy Living”, a PBS television series starring Jane Seymour. The team behind HEALTHY TIPS has more than 30 years of production experience and has created over two hundred television programs. Our video series includes the “Step By Step Guide” to natural therapies with world-side distribution, and also an award winning virtual reality film for NASA. Dr. Jim Sears, MD, our celebrity host, introduces each segment and will receive feedback from the “on location” hosts after they have experienced a new therapy.